New Winter 2018: Show your support for the participation and success of your favorite player! 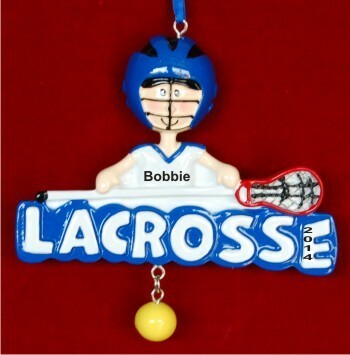 He'll be proud to display the talented lacrosse boy personalized Christmas ornament when it arrives in our custom velvet gift bag. These sports ornaments personalized for each player are chosen by parents and coaches to encourage hard work and celebrate success. 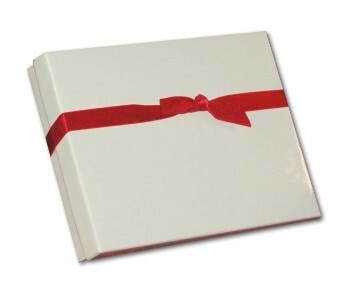 An artist will use a handsome font to paint the details you provide, creating a custom ornament just for him. There's room on the reverse side for us to add a longer message from you when you select that option for the boys lacrosse personalized Christmas ornament from Russell Rhodes.